Kerala Hairdressers, an iconic salon in T Nagar is known for their amazing customer service and historic haircuts. 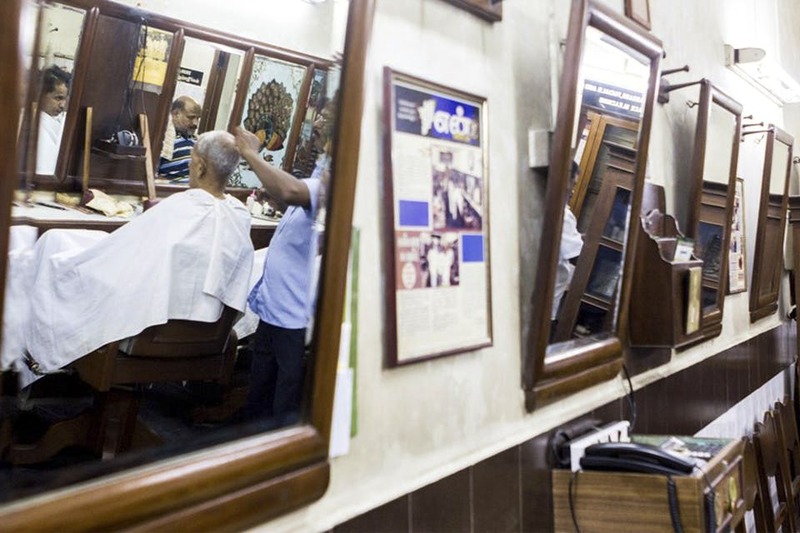 The next time you need to get a haircut, ditch the fancy salons and head to Kerala Hairdressers, a salon in T-Nagar which looks just like how it did in 1940 when it first opened. The wooden black and brown chairs, framed mirrors, and decor of the salon flashback to the old times. This salon is one of the oldest in the city and their clients have been loyal to a fault. We hear Kollywood stars and actors like Siva Kumar have apparently got their hair cut and styling right here at Kerala Hairdressers. This salon has been running for three generations and their service remains flawless. Even though the salon retains the olden day charm, the hairdressers are well-equipped to give you the modern haircuts. Kerala Hairdressers is perfect for those who want to get their hair cut quickly and don’t want to spend too much time on it. They have fun trims and bobs and can give you a mohawk like a boss, but check out their hairstyle guide for the best 80s and 90s haircuts! Haircuts are priced from INR 300 so hit up this salon for your hassle-free haircuts.